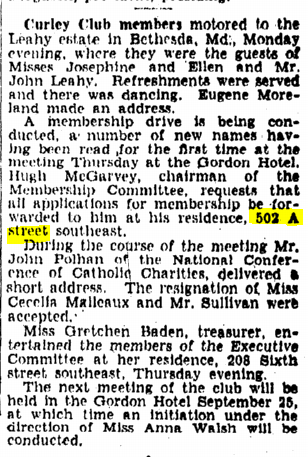 Washington Post, 4 February 1934, p. F5. 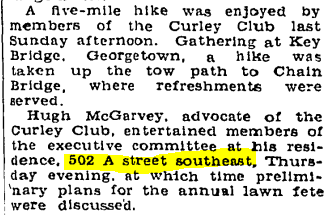 Washington Post, 15 April 1934, p. 5. 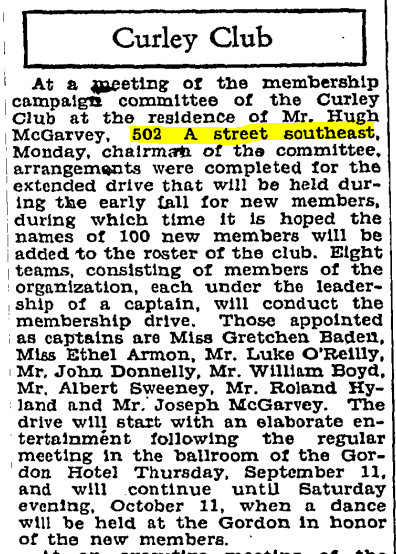 “Cast Selected in Benefit Play of Curley Club.” Washington Post, 10 December 1933, p. A6. 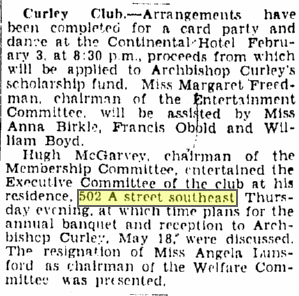 Washington Evening Star, 25 January 1931, p. 52. Washington Post, 29 May 1932, p. S4. 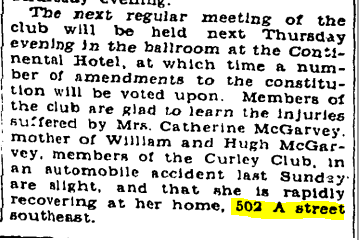 “News of the Clubs.” Washington Evening Star, 29 May 1932, p. 36. 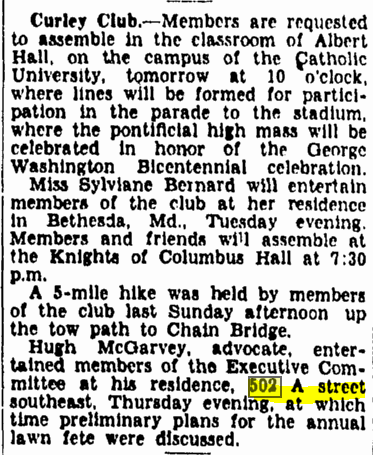 Washington Post, 31 March 1935, p. SS11. 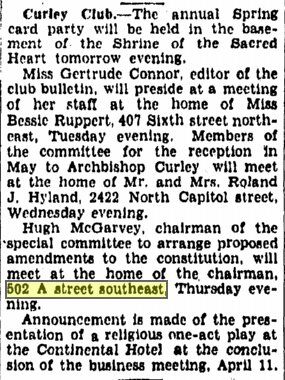 Washington Evening Star, 31 March 1935, p. 48. 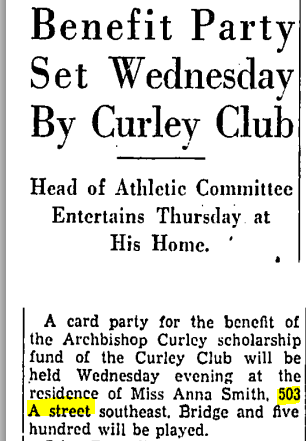 “Dance of [Curley] Club to Boost Fund for Scholarship.” Washington Post, 21 April 1935, p. ST4. 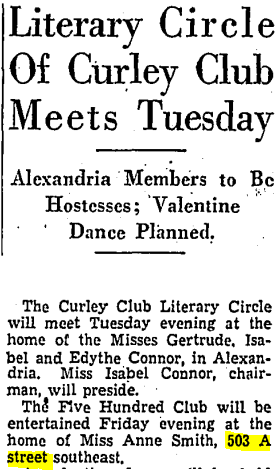 “Two Brides of Curley Club Feted by Fellow Members.” Washington Post, 29 July 1931, p. A1. Washington Evening Star, 29 September 1930, p. 59.